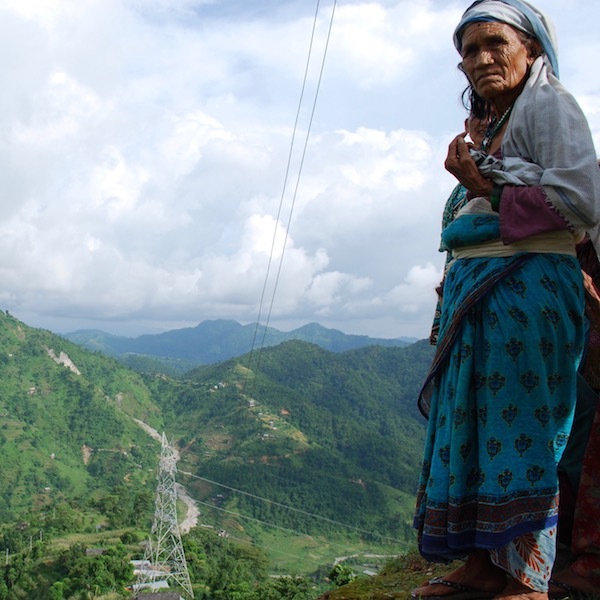 Accountability Counsel, together with the Lawyers’ Association for Human Rights of Nepalese Indigenous Peoples (LAHURNIP), has supported communities in the Sindhuli District in Eastern Nepal who have been affected by a World Bank-financed high-voltage transmission line. Nepalese armed police forces have violently beaten and arrested peaceful protesters, and the World Bank was complicit in a cover-up of those abuses. Our work ensured a full compliance investigation by the World Bank Inspection Panel that documented the violations of Bank policy. Affected communities, many of whom are Indigenous Peoples, have serious concerns about the health, safety, and economic impacts of the Khimti-Dhalkebar 220 kV Transmission Line, a high-tension transmission line. Indigenous, Dalit, and other local communities directly under the route were not informed about the project or consulted on its implementation, in violation of World Bank policy. They sought a rerouting of the line away from their communities, homes, and schools. Now that the line has been built, many have still not been adequately compensated. Accountability Counsel supported the communities in their complaint to the World Bank Inspection Panel. We accompanied the communities through every step in the process to ensure that their voices were heard directly by the Inspection Panel, World Bank leadership, and the Nepalese government. In 2015, Accountability Counsel produced the report Livelihoods on the Line to ensure that the Bank’s board was prepared to understand and evaluate the coming Inspection Panel report. The Panel’s investigation led to a 2015 report concluding that the Bank violated its own policies. We have called on the Bank to take responsibility not only for its own policy violations surrounding the Khimti-Dhalkebar Transmission Line, but also for its complicity in covering up the human rights abuses committed by the Nepalese government. While our active work on the Khimti-Dhalkebar case ended in November 2017, we continue to work closely with our partners LAHURNIP who are in close contact with Sindhuli residents as they engage with the government of Nepal. We also supported communities through the Bank’s access to information process, which resulted in the release of a report by international dispute-resolution expert, the Consensus Building Institute (CBI) in October 2018. The CBI report’s release is a vindication of the community’s demands after the Bank refused disclosure for two years. The Khimti-Dhalkebar 220 kV Transmission Line is a high-tension transmission line that runs through four districts in central Nepal and has impacted more than 114,000 people. The World Bank approved funding for the project in 2003 as part of the Nepal Power Development Project (NPDP). The Nepalese Electricity Authority (NEA) completed construction of the line in January 2017 after delays due to opposition from affected communities. Affected community members, many of whom are Indigenous Peoples, have had various concerns about the project from its outset—lack of information and consultation about the project design, potential health, safety, and environmental impacts, and inadequate compensation for livelihoods lost as a result of the line. The route for the transmission line covers residential and urban areas, as well as a number of schools. In violation of World Bank policy, the affected communities located directly under the route, which are largely composed of Indigenous Peoples, Dalits, women, and other marginalized groups, were not informed or consulted. Further, many are still yet to be adequately compensated for the use of their land. They sought a rerouting of the line away from their communities, homes, and schools. Peaceful community protestors voicing these concerns were met with violence. In a 2012 protests, armed police beat local women so severely that some still suffer from the injuries. Threats of violence and intimidation by the NEA continue, creating anger, frustration, and sadness for the affected people, but the people are determined to stand their ground. For nearly a decade, there was virtually no direct communication from the NEA or the Bank to affected communities despite the communities’ primary demand for clear information and participatory consultation. Also, no communication materials were distributed until March 2014, and, even then, these emphasized the positive aspects of the project and failed to discuss negative impacts and risks. Worse, the local authorities who distributed the materials are the same authorities who continue to intimidate and threaten the affected people. When Bank and NEA officials did meet with the affected people, they seemed unable to truly listen – they dismissed the concerns raised and instead redirected the conversation to monetary compensation. 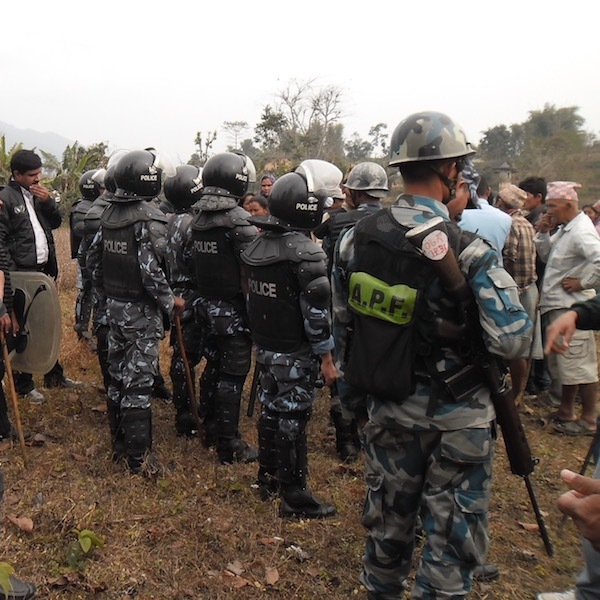 In early April 2016, the Government of Nepal deployed armed police forces to Sindhuli District to ensure opposition to the project did not obstruct surveying and construction activities. In April 2016 and, later, in July 2016, the police beat and detained community members who were peacefully opposing the project. Both times, community members were released from prison only after agreeing under duress to sign their “consent” to the project. Through the Kathmandu-based Lawyers’ Association for Human Rights of Nepalese Indigenous Peoples (LAHURNIP), affected communities approached the Supreme Court of Nepal in an attempt to suspend the project until all social and environmental impacts were addressed. After these attempts to appeal to national political and judicial processes, they contacted Accountability Counsel and we have been working alongside LAHURNIP with Sindhuli communities since 2013 to voice their concerns to the World Bank. On 10 July, 2013 with the support of LAHURNIP and Accountability Counsel, local residents filed a complaint to the World Bank’s accountability mechanism, the Inspection Panel. The complaint raised concerns about human rights violations associated with the construction of the transmission line funded by the World Bank. The complaint demanded that the Bank’s Panel immediately investigate the Bank’s role in this project. 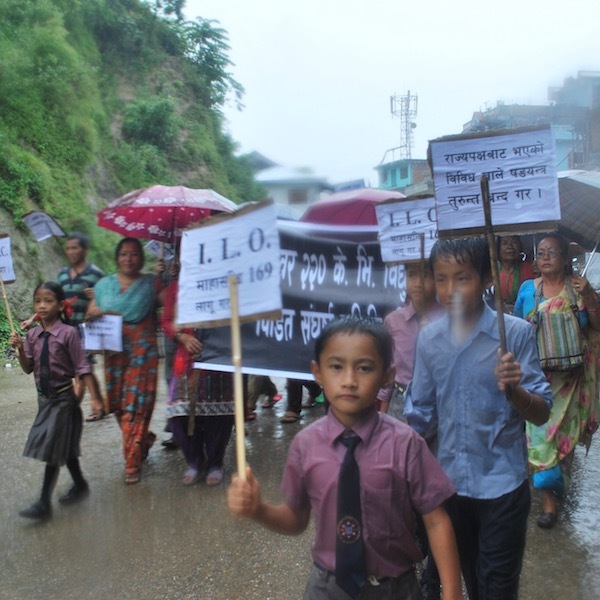 Communities also demanded that the Bank halt construction of the transmission line and that the Nepalese Government cease violence against local people who have spoken out against the project. In October 2013, the Inspection Panel issued their report and recommendation that a full investigation be carried out into violations of World Bank policies during the planning and implementation of the transmission line. The report made requirements for investigating possible alternative project designs. However, instead of immediately opening such an investigation, the Inspection Panel announced that the investigation would begin after 30 April 2014. The rationale for this delay was to provide World Bank staff time to extend their participation in the project, which was scheduled to close on 30 December 2013, and to allow Bank Management the chance to implement an action plan to address community concerns. Accountability Counsel immediately expressed concern that the Panel’s failure to promptly investigate would make the situation worse – and it did. The Panel commenced their investigation in May 2014 and visited affected communities in July 2014. During the lengthy time it took for the Panel to complete its investigation, the situation deteriorated in Sindhuli. In April 2015, Accountability Counsel produced the report Livelihoods on the Line in order to ensure continued engagement by the World Bank Board and Management. On 10 July 2015, the Inspection Panel released its findings, concluding that the World Bank had violated several of its policies in the implementation of the Khimti-Dhalkebar Transmission Line Project. Violations included failure to inform and consult affected communities, assess alternative routes for the transmission line, assess the capacity of the local agency implementing the project, and provide adequate resettlement support for forcibly displaced families. In response, the World Bank released an action plan, which was intended to bring the project into compliance with Bank policies. Many of the Bank’s proposed actions were forward-looking and did not adequately address the violations and harm caused in this project. During the first week of April 2016, the Government of Nepal indicated that it wanted to restart the project construction that had been halted due to community complaints of lack of information and consultation on their forced displacement. This led to community protests on 10 April 2016 with about 160 people taking part in a peaceful sit-in outside government offices. On the morning of April 10, several sit-in leaders were invited inside to discuss their demands. Upon exiting the offices after this discussion, six of them were arrested. They were released the following day. A condition of their release: signing documents giving their consent to the project. Also on April tenth, police forces were sent to disperse protesters, and several dozen people were injured. Photos of these events from a local news agency are found here. These events coincided with the World Bank’s 2016 Spring Meetings in Washington, D.C. During these meetings, the Bank considered additional loans to the Nepal Electricity Authority even though Nepalese authorities were responsible for the recent violence. Following Accountability Counsel’s trip to Nepal to investigate the violence, on 7 July 2016, LAHURNIP and Accountability Counsel sent a letter and briefing paper to the World Bank President and the Board, strongly urging them to counter intimidation and militarization in the project. The letter contained three actionable requests from the communities, which, if implemented, would have helped bring the conflict to an amicable solution. 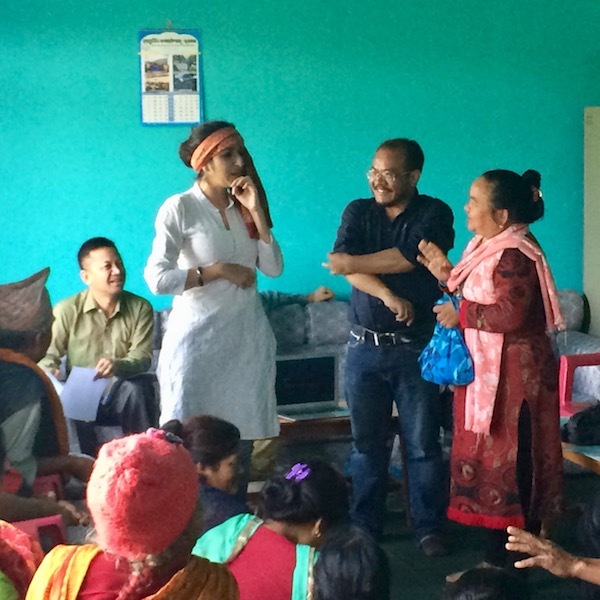 In May 2017, after nearly two years of Accountability Counsel’s consistent advocacy, a World Bank-supported Nepalese facilitator began work to address the dispute between the Government of Nepal and Sindhuli communities. While Accountability Counsel’s active role has come to an end, we continue to closely follow and communicate with LAHURNIP and the residents of Sindhuli. Our support to Sindhuli communities through the Bank’s access to information process have resulted in the release of a report by international dispute-resolution expert, the Consensus Building Institute (CBI) in October 2018. The CBI report was commissioned by the Bank as a direct response to the dispute between the local communities and government authorities. The CBI report’s release is a vindication of the community’s demands after the Bank refused disclosure for two years. Learn more about the Inspection Panel process in this case and our impact. Accountability Counsel provides support to indigenous communities and grassroots organizations in Nepal in partnership with Kathmandu-based Lawyers’ Association for Human Rights of Nepalese Indigenous Peoples (LAHURNIP). The Appeals Board decided that the World Bank was improperly restricting access to an expert report by the Consensus Building Institute (CBI), resulting in the Bank’s release of the report. Accountability Counsel and LAHURNIP supported the communities to initiate a formal request, under the World Bank’s Access to Information Policy. The request was for an expert report about conflict resolution in Nepal’s energy sector, that had been commissioned as a result of the communities’ complaint to the Inspection Panel. Denial of this initial request led to the filing of an appeal to the World Bank’s Access to Information Committee. Denial of the first level appeal to led to the filing of a second level appeal to the Access to Information Independent Appeals Board. A facilitator was hired to moderate a dialogue between residents of Sindhuli and the Government of Nepal. Community members sent a letter to the World Bank President and the Board, urging the World Bank to correct misrepresentations in the implementation of its action plan and reiterating the urgent need for a facilitated dialogue. LAHURNIP and Accountability Counsel sent a letter and briefing paper to the World Bank President and the Board, strongly urging them to counter intimidation and militarization in the project. The Inspection Panel releases its findings, accompanied by a report and action plan from the World Bank’s Management. Accountability Counsel produced the report Livelihoods on the Line in an effort to ensure continued engagement by the World Bank Board and Management. Accountability Counsel also met with Board members to discuss the report. For an entire year, Accountability Counsel advocated with the Inspection Panel, urging the World Bank accountability office to complete its investigation report. The Inspection Panel issued its eligibility report that recommends an investigation into the complaint. The response from World Bank Management was also made public and includes an action plan for addressing community concerns (see Annex 1.6 in linked document). With the support of LAHURNIP and Accountability Counsel, communities filed a complaint to the Inspection Panel on problems associated with the Khimti-Dhalkebar 220 kV Transmission Line. LAHURNIP filed a second writ petition to the Supreme Court of Nepal addressing land acquisition for road projects associated with the Khimti-Dhalkebar Transmission Line. The government of Nepal sent armed police forces to Sindhuli to resume construction activities on the transmission line. Community leaders met with World Bank staff in Kathmandu. Affected communities sent a letter of concern to the World Bank President. LAHURNIP filed a writ petition to the Supreme Court of Nepal requesting an interim order to halt construction of the project. Communities peacefully protested the Khimti-Dhalkebar 220 kV Transmission Line, resulting in a police charge and injuries to at least ten protesting women. Our advocacy has resulted in a record of the abuses and violations experienced by the communities. This record has been documented through our own work and the World Bank Inspection Panel’s compliance report and recommendation. This report was presented to the Bank’s Board of Directors, reviewed by Bank Management, and is now a public document. Our advocacy has also ensured that all levels of World Bank staff and leadership are aware of the Bank’s due diligence and consultation failures that led to the extreme delays in construction of the transmission line, as well as environmental and social consequences for vulnerable local populations in the Sindhuli district. After a decade-long struggle, and because of Accountability Counsel’s continued advocacy, an independent facilitator was hired in 2017 to moderate a dialogue between the affected communities and the government-owned project implementing agency, the Nepal Electricity Authority. Our South Asia team accompanied the community members through several training workshops to prepare them for the facilitation process. This dialogue marks the first time the government of Nepal has engaged in a collaborative dispute resolution process with communities affected by its development efforts, and the communities are hoping this process will help bring an amicable resolution to their concerns and some much-needed closure. While our active role ended in November 2017, we continue close contact with LAHURNIP as they support the people of Sindhuli in their advocacy with the Nepalese authorities. We also supported communities through the Bank’s access to information process, including an initial request, and two levels of appeal, while also applying public pressure. The communities and our efforts resulted in the release of a report by international dispute-resolution expert, the Consensus Building Institute (CBI) in October 2018. The CBI report was commissioned by the Bank as a direct response to the dispute between the local communities and government authorities. The CBI report’s release is a vindication of the community’s demands after the Bank refused disclosure for two years. 21 February, 2018 Interview on Indigenous Television, Nepal's first indigenous community television station.